These new sensor probes are named as “PRO” as they offer a better calibration cycle (they keep calibrated more days than the current probes). The underlying technology is not based on liquid chemicals but in solid membranes made of nanotubes of carbon so they simple last more time with the right calibration that the regular probes. So how are they named now? 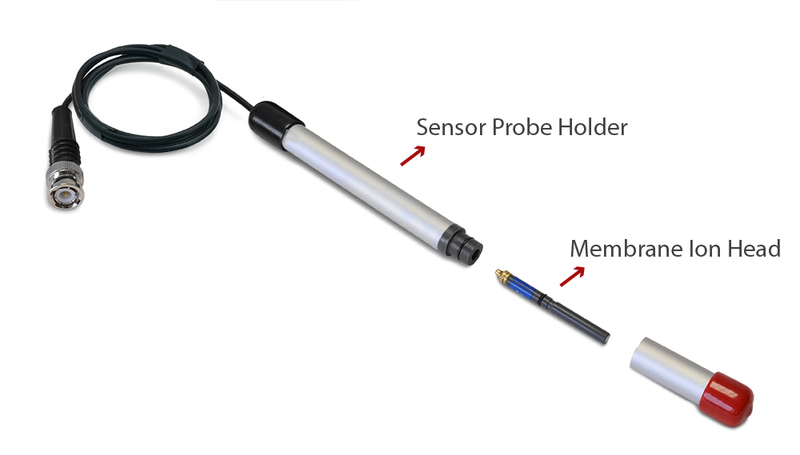 The new Ion Sensor Probes “PRO” are composed of two independent parts: the head (the ion membrane) and the holder. So we just need to change the header when it is not working properly due to circumstances like the maximum lifetime is reached. However with the new “PRO” Ion Probes we can mix any 5 of them in the same Plug & Sense! as desired with no restrictions. Now we can also add a pH “PRO” Sensor Probe at the same time that the Ion Probes. With the old ones it is needed to use a separate Smart Water unit. The “PRO” Probes may have a lifetime of two years (depending of conditions of the environment), while the “Normal” ones have a lifetime that goes from 6 months to one year. 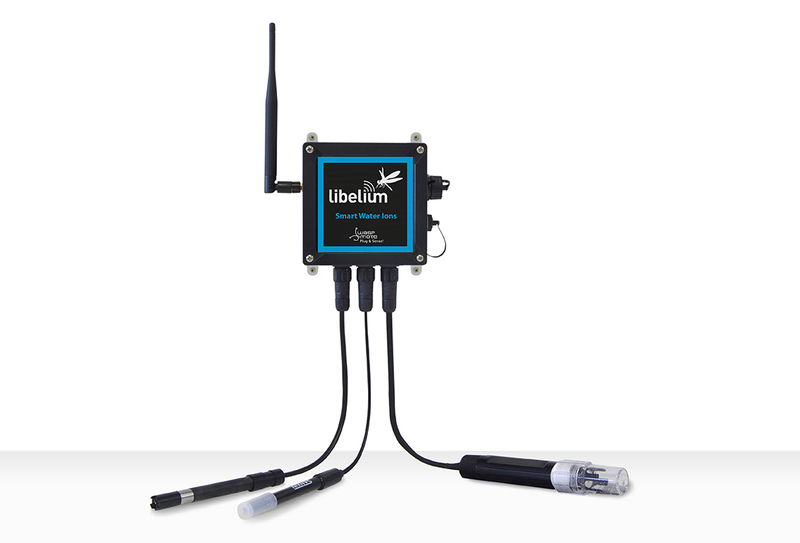 Each type of Sensor Probe has its own type of Reference Probe. This means we can not mix “Normal” with “PRO” Ion Probes. We are also adding a new “Multi-ion” calibration solution that allows to calibrate up to 7 different sensor probes. So now we can use just 3 bottles of solutions to calibrate 7 Sensor Probes (with the old ones we would have needed 21 bottles each with a different solution). Firsh Farming / Fish Tank Monitoring / Hatchery / Aquaculture / Aquaponics: Measuring the water conditions of aquatic animals such as snails, fish, crayfish, shrimps or prawns in tanks. Important values are pH, Dissolved Oxygen (DO), Ammonium (NH4), Nitrate (NO3-), Nitrite (NO2-) and water temperature. 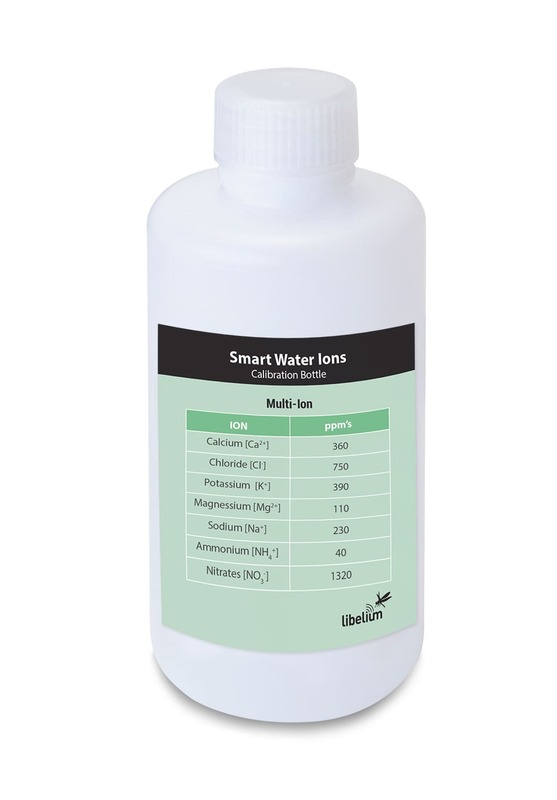 Read more about the Smart Water Ions here. Read more about the Smart Water Plug & Sense! here.